[EN]CODING ARCHITECTURE 2013 was the title of a 3-day conference and publication on the autonomy of architecture, code, fabrication, material morphology, robots, machinic desire and computation held at Carnegie Mellon University in February 2013. Directed by Visiting Professor Liss C. Werner from the CMU School of Architecture, the participants focused on the ongoing paradigm shift, or rather state change in architecture and the role of the designer/architect in the age of code, beyond linear communication channels or a clear differentiation of disciplines, which has dominated the profession of architecture since the second industrial revolution. 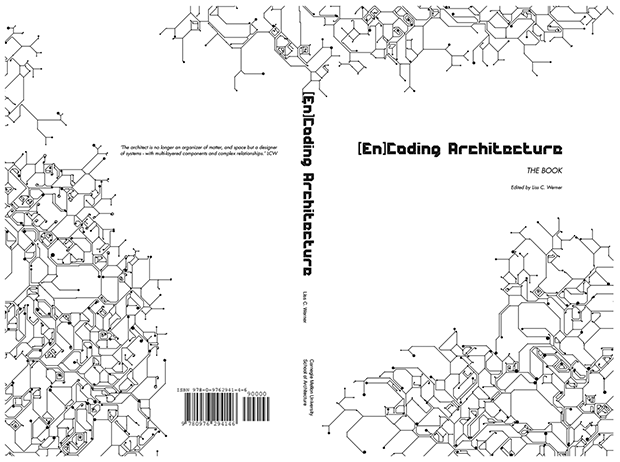 In collaboration with CMU students, faculty, and others from around the world, Prof. Werner subsequently developed the ideas in [EN]CODING ARCHITECTURE into a book, with support from the Frank-Ratchye Fund for Art @ the Frontier (FRFAF) — an endowment founded to encourage the creation of innovative works by the faculty, students and staff of Carnegie Mellon University. The book is available as a free download (140mb PDF) and as a print-on-demand book from Lulu.com (ISBN: 978-0-9762941-4-6). The book presents an overview of what “[en]coding in architecture” might consist of, how it can be defined, and which way a new language and new tools, namely the language and tools of computer sciences, influence computational thinking for architecture and the built environment. It positions the field of architecture as an alloy of programming, digital tooling, art, and science. It synthesizes new trajectories for the profession in a cybernetic context of tectonics, cultural philosophy, architectural theory and geopolitics. Liss C. Werner is a licensed German architect, Assistant Professor at DIA, where she returned to after a guest professorship at Carnegie Mellon University. She is the founder of Tactile Architecture and editor of [En]Coding Architecture: the Book, (2013). 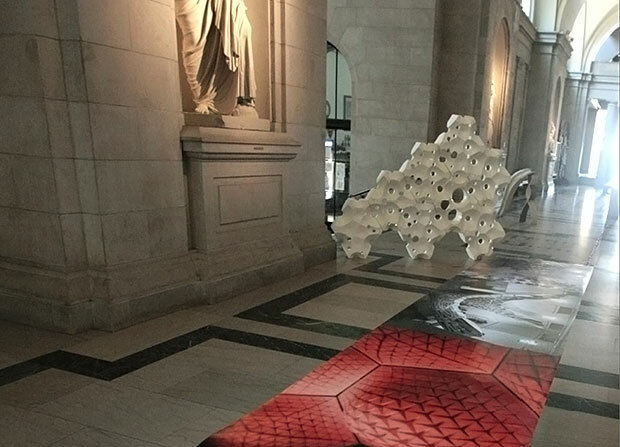 At DIA Werner founded her Design Studio Codes in the Clouds, exhibited and published at the Digital Futures 2011, Tongji, and the Venice Biennale 2012. Her research focuses on the relevance and implications of cybernetics and systems for computational architecture. Werner worked in the UK, Germany and Russia; since 2002 she taught, lectured and crit internationally at various universities including MIT, USC, CalArts, Cornell, Kunstuniversität Linz, Städelschule, Texas Tech and the Bartlett. She contributed to conferences in Germany, the US, Ukraine and Austria; in 2013 she chaired [En]Coding Architecture at CMU and co-chairs Architectural Ecologies at EMCSR in Vienna, Spring 2014. Werner holds a Ba(hons), Dipl Arch and Master of Architecture from the Bartlett, is a member of the American Society of Cybernetics and Phd candidate at Humboldt-University Berlin, Interdisciplinary Research Lab, Cultural Sciences.